2)	Determination of Requirements in accordance to the national and EU requirements. 1)	Water User Survey including 40 municipalities, around 950 small to mid-scale settlements, Industries, Utilities, irrigation unions, etc. 3)	Water Demand Projection for domestic, industrial, touristic and animal husbandry needs until 2065. 6)	Determination of water stress sub-basins/areas and sectors. Gaziantep is one of the Greater Municipalities in Turkey with around 1.5 million population. The Municipality has received a loan from EBRD for 50 new low floor compressed natural gas (CNG) buses, a CNG fuelling station and maintenance equipment. ➢	Training of the municipal staff on the plan and health and safety measures. ➢	Enduring approval of EBRD for the EHSM Plan. 1)	Project and Operational Analysis and definition of the environmental, health and safety issues and measures for the project, especially focusing on the mechanical maintenance and repair department. The Mardin Wastewater Project is one of the priority projects in Environmental Operation Program of Turkey, considered to be financed by EU IPA grants. The project area covers Mardin Municipality together with adjacent Yalım, Yeşilli and Kabala District Municipalities as well as Kızıltepe Municipality (total around 250.000 inhabitants). Mardin is a provincial center located in South Eastern Anatolia region and the border of Syria. The purpose of the project is specified as to develop a feasible wastewater management system by providing sewerage extension, collectors and waste water treatment plants that improves the infrastructure conditions and provides reduction of pollution of receiving environment and to meet the EU and Turkish quality standards in the wastewater sector in the project area and nearby municipalities. Project covers construction of sewerage network and collectors (total sewerage around 160 km), 2 waste water treatment plants, one being at south and one at north in accordance to the national standards and EU norms and directives. In addition, the project covers capacity building arrangements for the water utility. The Southern WWTP will be designed and constructed for a wastewater flow of 65.000 m3/day for target year of 2032. The plant will be expanded in 2032 with the implementation of second stage to serve till 2047. The Northern WWTP will be designed and constructed for a wastewater flow of 12.000 m3 per day for target year of 2032. The plant will be expanded in 2032 with the implementation of second stage to serve till 2047. 2. Design of Northern and Southern Wastewater Collectors total around 37.5 km. 7. Tariff study including affordability and full cost recovery analysis. Türkiye Sınai Kalkınma Bankası (TSKB) has signed a loan agreement on the “Credit Line for Municipal Infrastructure” by end 2010 with with KFW. In principle, all projects with a positive impact on the environment and socio-economic conditions in municipalities are eligible for financing. Therefore, all kind of sub-sectors related to municipal infrastructure are eligible for financing, e.g. water supply, wastewater, solid waste, transport, social housing. The scope of work for comprises consultancy services for (i) market research, (ii) support to TSKB capacity building with regard to PPP and innovative technologies in waste water, solid waste management and recycling, (iii) development of internal project assessment procedures for PPP projects and, (iv) specific technical, financial and legal support to assessing sub-loans. 2)	Design and organization of the trainings agreed with TSKB. As part of the 20 million EUR loan from the EBRD, the Mersin Water and Sewerage Administration (MESKI) is expected to improve its wastewater infrastructure by building a new wastewater treatment plant (WWTP). The overall aim of the project is to design the wastewater treatment plant where domestic wastewater from particularly Mezitli region and nearby will be treated in order to ensure a high level of environmental protection and compliance of Turkey with EU environmental directives. It was anticipated that the 1st Phase 20-year will be completed in 2035 (with 55.000 m3/day capacity) and the 2nd 15-year Phase in 2050 (with 80.000 m3/day capacity). The overall project objective of this assignment is to facilitate the timely and effective implementation of the Project by rendering assistance to the PIU in the implementation of the Project, including design, all aspects of procurement, disbursement, as well as environmental and social management systems and practices in line with EBRD’s requirements. In order to smooth the process and ensure the loan repayment, The Consultant was hired to advise the company on improvement of its institutional, operational and financial standing and to help the MESKI staff in gaining capacities necessary for a more effective corporate management in the future. 5. Recommendations for NRW reduction including physical and commercial components. The survey called for establishment of a data-base and an overall evaluation of the international training programmes performed in Turkey. The Survey identified current international aid trends in JICA’s training programs and serve for improving aid effectiveness. The Project required an extensive review process of documentation of past training programmes and a series of consultations with related organisations with regards their opinions on the impacts of the trainings in terms of level of accomplishment of objectives. b. Operating procedures; screening process, visa process, orientation, etc. 4)	Statistics and reference materials including name of courses, number of participants by countries, duration of courses, sample curriculum, cost-sharing and other financial information if available, etc. The study has been conducted under the EU financed project “Europe Aid/129587/D/SER/TR Technical Assistance and Supervision for Water and Wastewater Project of the Erdemli Municipality”. The project consist of development of (Şampınarı and Degirmenbası) springs as an urgent water supply source because of the risk of contamination of the existing ground water sources. The project consists of construction of new transmission main from Sampinari and Degirmenbasi water sources to Erdemli to provide gravity and clean water for the city together with Hydroelectricity Power Plant to produce energy. The specific purpose of the water supply project is to contribute to compliance with the EU acquis for Erdemli Municipality by eliminating high risks of water source contamination and providing a sustainable drinking water supply for the city. Specifically, as a result of this project, Erdemli Municipality will comply with the directives related to quality of water for human consumption. The Project included a comprehensive survey in the GAP Region of Turkey on the basis of agriculture economy and irrigation practices, eventually to formulate projects for supporting sustainable agro-business that can benefit from JICA’s cooperation with the Turkish Government. The setting for the surveys and data collection was based on the objective to collect data and information on the components of “sustainable agriculture” in the GAP Region of Turkey. The specific purpose of the project entails the establishment of a wastewater management system for the city of Erzurum to reduce the pollution loads to the Karasu River and to meet the EU and Turkish quality standards in the wastewater sector. The other components of the project will support improvements in the wastewater and water system as well as improving the institutional structure of the municipality by trainings to be conducted to provide a sound management of the water and wastewater system in Erzurum. The wasteter treatment plant will be designed and constructed for a population of 444,934 persons and 56,300 industrial p.e. The plant will be expanded in 2025 with the implementation of second stage to serve till 2040 for 528,595 persons and 58,733 industrial p.e. The assignment comprises components for technical assistance for capacity building and modernization of Erzurum Water and Sewerage Administration.The main tasks under this components are to define the training needs and delivery of the trainings as well as to define institutional development needs for modernization of the Utility (ESKİ). In addition, the TA assignment includes a component to prepare Feasibility and IPA application Dossier for proposed Water Supply Project. The Kütahya Wastewater Treatment Plant Project is under Environmental Operation Program of Turkey, considered to be financed by EU IPA grants. Kütahya with around 235.000 inhabitants(2012) is located in the internal part of the eastern Aegean region of Turkey. It is in the transitional zone between the Aegean region at the coast and the Anatolian region at the internal part. The purpose of the project is specified as to develop a feasible wastewater treatment system by rehabilitation and expansion of the existing waste water treatment plant that provides reduction of pollution of receiving environment and to meet the EU and Turkish quality standards in the wastewater sector in the project area and nearby municipalities. Project covers construction works for rehabilitation and expansion of the existing WWTP in accordance to the national standards and EU norms and directives. In addition, the project covers capacity building arrangements for the water and wastewater utility. The WWTP will constructed for 97,705 m3/day average wastewater flow rate for 2030 and 120,868 m3/day for 2045. Tunceli Solid Waste Union (DER-KAP) consists of Tunceli-Pülümür-Nazimiye-Ovacık-Mazgirt Municipalities with around 80.000 inhabitants. The Union has been established to find a solution for the solid waste management problem in the region at EU and national standards. The existing solid waste practices in the region is very poor, comprising collection and wild dumping only. The Union aims at establishing a sanitary landfill and a contemporary integrated solid waste management in the model and increase the awareness of the public in that regard. 1. Design and training on Solid Waste Management- including integrated solid waste management, recycling, re-use, landfilling, optimization of waste flow, sorting at source, zero waste principle, etc. 3. Training and Workshop on Financing Solid Waste Infrastructure, available sources and models, such as PPP. 4. TA to the the union in defining the framework of SWM in the region including the finance scheme. The European Bank for Reconstruction and Development (EBRD) is working with the City of Bodrum and the Bodrum Municipal Water Department (BOSKİ) to improve municipal water supply services. The operation will have three components which include a EUR 7.5 million loan from EBRD to the City to finance capital investments to rehabilitate and expand the water network and improve service quality alongside technical cooperation to support Project implementation and financial and operational management at the level of the City and Boski. The Project focuses on (i) Reservoir Rehabilitation; (ii) purchasing leak detection equipment and pipe replacements in order to reduce water losses; and (iii) connecting new customers to the City’s network, and (iv) Construction of a WWTP in Torba with 2.000 m3/day capacity. Currently the City supplies about 21,000 m3 per day but only invoices 9,000 m3 as a result of water losses. Also more than half the population is not connected to the supply network and purchases water from mobile tankers. The proposed EBRD investment will therefore not only focus on decreasing losses in the existing network but also expanding the network to new customers to reduce the need for mobile tankers. The overall objective of this assignment is to facilitate the timely and effective implementation of the Project by rendering assistance to the PIU in the implementation of the Project, including design, all aspects of procurement, supervision and disbursement, as well as environmental and social management systems and practices in line with EBRD’s requirements. 9 ) Supervision of construction works in accordance to FIDIC Conditions of Contract. 10) Supervision of the Supply works. 11) Capacity Building for PIU staff on project management and procurement. The project covers Yoncalı, Ilıca and Termal sub-settlements and central of Kütahya Province with a total population of 235.000 (2011). The aim of the project is to develop sewerage system in the sub-settlements with around 200 km whose around 75 km will be implemented in 1st stage by a loan from JICA. In addition, the first stage of stormwater network of Central Kütahya for around 21 km consisting of 3 km box and 18 km of piped section to be developed. The project is prepared for JICA finance and included implementation designs, feasibility report, cost benefit analysis, and environmental management and monitoring plans. 3. Detailed designs of around 80 km sewerage network and 21 km of stormwater collector. 4. Design of a small treatment plant and a sewerage pumping station. 7. Preparation of Tender Dossiers. Turkey, Azerbaijan, Iran, Kazakhstan, Uzbekistan, Turkmenistan, Pakistan, Kyrgyzstan, Tajikistan. The aim of the project was to conduct a study survey to investigate present status of technical education management in above mentioned target countries, present situation of facilities and relevant equipment in the Schools, industrial needs for industrial automation technology applications and demands for technicians and mid-term engineers prior to the implementation of requested the Industrial Automation Technology (IAT) Extension Project for Central Asian / Middle East Countries. Objectives of the Study Service are to be conducted for the purpose of provision of basic information as the foundation for the formulation of this new project. More specifically, by using the existing information and data and information gathered through interviews with relevant authorities, the consultants were expected to compile information on present general status of technical and vocational education of industrial automation technologies (including electric-electronics, mechatronics, mechanics, ICT) sectors in target counties, and relevant needs on industrial requirement for technician and/or mid-term engineers in relation to the present industrial production processes, to help JICA determine the technical level and implementation structure of the training in the new project. Target Countries This study covered the following 8 countries as Target Countries: Azerbaijan, Kazakhstan, Uzbekistan, Turkmenistan, Kyrgyzstan, Tajikistan, Pakistan, and Iran. (1) Social and Economic Analysis. (2) Policy and Development Plan Analysis on Technical and Vocational Education, Industrial, and Employment. (3) Outline of Technical and Vocational education sector structure and analysis of its technical level. (4) Outline of other international project conducted in relevant sector. Ankara Water and Sewerage Administration (ASKİ) serves around 5.000.000 inhabitants with a servicearea of around 50 km in diameter. Because of the recent legislation, many small settlements adjacent to old service boundaries have been integrated in to ASKİ service area, hence created many integration problems. For that reason, ASKİ decided to prepare new master plans until 2050 for water and wastewater services. The aim of this assignment was to prepare tender dossier separately for water and wastewater services master plan study. 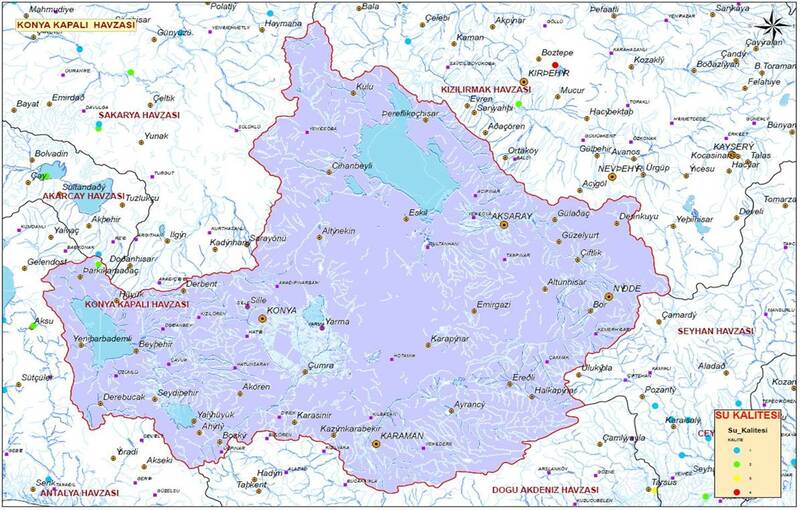 a) The ger area water supply component, to improve water supply in the ger areas of Bayankhoshuu, Chingeltei, Dambadarjaa, Dari-Ekh, Naran, and Uliastai. b) The city water supply component, to strengthen the primary network system in selected areas, support water conservation and leakage control, and expand monitoring of water flows and water quality. c) The energy efficiency improvement component, to replace selected obsolete high energy consuming electrical equipment with energy efficient equipment. Objective of this consulting service is to undertake evaluation task to prepare the Implementation Completion Report of the Second Ulaanbaatar Service Improvement Project (USIP2) through a systematic and objective assessment of the project, its planning, implementation and obtained results. Overall tasks are a) to assess the operation’s objective, design, implementation, and operational experience; b) to assess the outcome of the operation against the agreed objectives; c) to assess the impact of the project on ger area residents, relevant sectors institutions; d) to formulate a diagnosis of effects (planned and unplanned); e) to identify strong and weak points of the project; f) to evaluate the borrower’s own performance during the preparation and implementation, with special emphasis on lessons learned that may be helpful in the future (including consideration of achievement in the project areas, and the sustainability of outcomes); g) to evaluate the Bank’s performance, or of other partners during the preparation and implementation of the operation, including the effectiveness of their relationships, with special emphasis on lessons learned that may be helpful in the future; and h) to describe and propose an arrangement for future operation of the project. 1)	Gather and consult all information and documentation relevant to the project, and analyse the logical framework of the development objectives, outcomes, monitoring indicators and critical assumptions in such a way as to gain a sound understanding of the project. 2)	Conduct interviews with project related institutions and people involved in the design, management and oversight of the project. 5)	Conduct a technical analysis containing all designs, feasibilities, consuşltant reports, etc. 7)	Conduct an evaluative analysis: On the basis of available observations and information, the consultant shall evaluate project objective, design, implementation and performance according to the five criteria - relevance, effectiveness, efficiency, impact and sustainability. The Azerbaijan WSS Investment Program (the Program) will cover: (i) WSS infrastructure development in the towns of Agdash, Goychay, Nakhchivan, Aghjabedi, Beylagan, Balakan and other developing urban centers in the Country including also the peripheral areas of Baku; (ii) Management Improvement and Capacity Development to develop the capacity of AzerSu and SAWMA and affiliated SuKanals and Joint Stock Companies (JSCs) to manage WSS service delivery; and (iii) a Program Management Facility that will oversee the Program development, implementation and management. The Government agreed to the MFF size of $600 million from the Ordinary Capital Resources (OCR). The first Periodic Financing Request (PFR1) may comprise WSS infrastructure investments in Agdash, Goychay, and Nakhchivan. The complete Program is estimated to be implemented over a period of eight years. c.	(iii) with the assistance of financial management and MIS specialists, train the staff in accounting, budgeting, book keeping and MIS operations. 3)	Socio-economic survey : design and undertake a socioeconomic survey, customer needs survey and gender action plan. 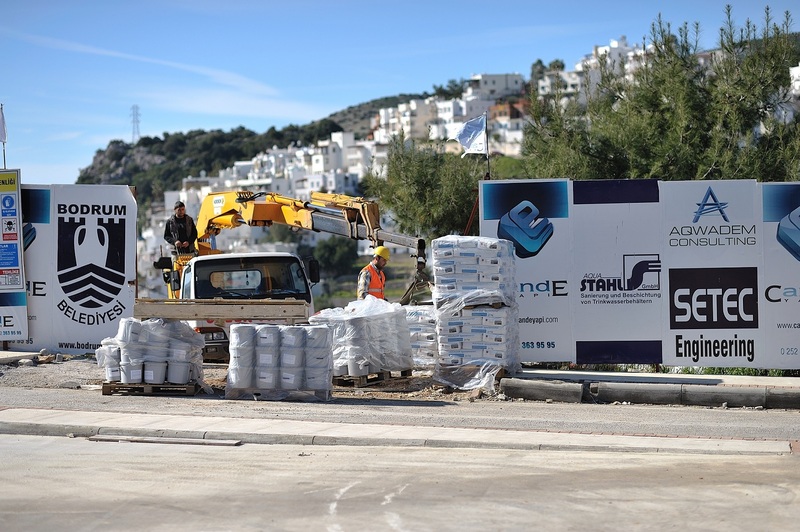 The European Bank for Reconstruction and Development (EBRD) is working with the City of Bodrum and the Bodrum Municipal Water Department (BOSKİ) to improve municipal water supply services. The overall objectives of this Feasibility Study were to help develop an affordable, least cost and cost effective bankable investment program for water and waste water service improvements within Bodrum. This Study helps Bodrum Municipality to design the technical aspects of the investments and EBRD to finance projects that: reduce water losses in the existing network, bring economic and environmental benefits, contribute to institutional development and transition impact steps. The project comprises: Feasibility of Water and Wastewater works, Design review, Tariff Study and Financial and Economic Analysis, Institutional Analysis and Capacity Building Arrangements, Long and short term investment planning, Procurement Arrangements. The project aims evaluation of the tender procedure including assessments on the technical issues, estimated cost, compliance with the legal frame and the extent its exposure to international competitive bidding. In addition, it consists compilation of technical and financial data regarding the transportation program of the City; evaluation of the financing plan and implementation schedule; and assessment of the current situation and recommendations regarding critical issues and improvement measures. 3. Evaluation of the financing plan and implementation schedule. 4. Assessment of the current situation and recommendations regarding critical issues and improvement measures. The main objective that AFD is seeking to achieve through those investments is to promote a sustained regional development in the context of the European integration. The specific objectives are twofold: improving the living conditions of the Kayseri population and its access to quality public services, as well as paving the way for a greater financial autonomy regarding Turkish metropolitan municipalities. In a more detailed fashion, operational objectives lie in improving road services, population’s safety (as regards to fire especially) and access to drinkable water and water treatment system (sanitation). The study aims at evaluation of the project performance according to the five criteria recommended by OECD’s DAC: relevance, effectiveness, efficiency, impact and sustainability. The value-added of AFD’s contribution will also be subject to a specific review. 5. Evaluation of various works and supply tenders conducted under the investment program. 6. 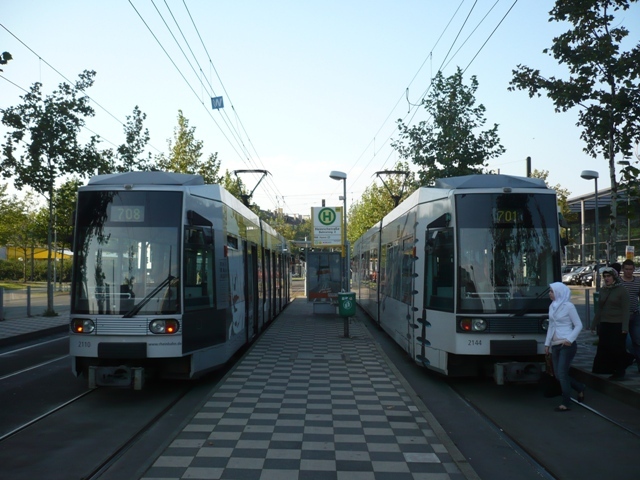 Estimation of the carbon emission reduction with the new rail system. 8. Evaluations and scoring of the performance in accordance to relevance, effectiveness, efficiency, impact, sustainability, and the value-added of AFD’s contribution. Balikesir is located in the upper South Marmara catchment area of Marmara Region. The project area comprises seven municipalities: Municipality of Balikesir and the surrounding Municipalities Susurluk, Kepsut, Pamukçu, Bigadiç, Savaştepe and İvrindi. These municipalities have formed a Solid Waste Management Union (BAÇEYÖB) whose solid waste investments are included in EU IPA grant financing. The project comprised of Construction of Sanitary Landfill, Material Recovery Facility, Pilot Compost Plant, Leachate Treatment Plant, Medical Waste Sterilization Unit, Transfer Stations and Rehabilitation of Existing Dump Sites. The assignment aimed at preparation of full tender dossier for Ministry of Environment and Forestry IPA Department for the project components including TA and Works tenders in accordance to the PRAG rules and FIDIC conditions of Contract. Konya is located in mid-Anatolia and is one of the 16 greater municipalities of Turkey. The Konya SWM project included establishment of a solid waste management system for Konya Metropolitan Municipality (KoMM), its central Central District municipalities as well as the first degree and town muncipalities in accordance with the Turkish Legislation and the European Union (EU) Acquis. The project area consists of four central district municipalities, 14 town municipalities and 26 villages with total population aroun 1.1 million ( 2008). The project is to be financed by EU IPA grants. The assignment aimed at preparation of full tender dossier for Ministry of Environment and Forestry IPA Department for the project components including TA and Works tenders in accordance to the PRAG rules and FIDIC conditions of Contract. 2. Conceptual design and drawings preparation for Material Recovery Facility (MRF), Leachate Treatment Plant, Transfer Stations, Composting Plants and Rehabilitation of old dumps. Ereğli Solid Waste Management Union covers 4 main settlements/municipalities and serves for around 210.00 inhabitants. The Project covers separation of recyclables at source and MRF, composting of green wastes and food scraps at a composting plant and finally disposal of the municipal solid waste to be brought to the Sanitary Landfill of covering an area of 65 ha of which 20 ha will be used for the proposed landfill in accordance with the EU Regulations and the criteria provided in the Solid Waste Control Regulation. ➢	to improve sanitary conditions of 210,000 inhabitants in the beginning. In 2038, approximately 312,000 inhabitants will be served by the project. ➢	to implement a financial management system to Solid Waste Unit formed by four project municipalities for sustainable operation of operation of proposed sanitary landfill at project area. ➢	to increase the public awareness on solid waste management activities, mainly for separation of waste at source. 10. Tender document preparation for TA and works components in accordance to PRAG and FIDIC rules. The purpose of this contract was to provide Undersecretariat of Marine Affairs (UMA) and Turkish ports with a completely turnkey VTMIS software solution in order to eliminate multiple keying in of data through the reduction in paper documentation by supporting a seamless flow of data between parties involved in loading/unloading operations of all goods also dangerous cargoes. Design and implementation of a training program for 3 municipalities and 1 NGO representatives (total 8 persons) from Azerbaijan on “integrated solid waste management systems” and best practices in Turkey. The project aims at capacity building in for Azerbaijan Municipalities and NGOs in contemporary techniques in Solid Waste Management. The training included 4 days of seminar program followed with 3 days of site visits including sanitary landfills, old dump rehabilitation, waste to energy, recycling and different collection systems. 3. Study tour to Ankara and Bursa SWM facilities and operations. Human Resources and Organizational Development for 3 project municipalities of KFW-EIB. The project had strong institutional and operational targets. Aim was to ensure autonomous and self sufficient water utilities with efficient water and waste operations. Sub-consultancy for the component of “improvement of customer management, billing and collection procedures/practices and organizations” of the Human Resources and Organizational Development Consulting Services for Van, Siirt and Batman Municipalities financed by KFW&EIB; under MUWIT program. 1. System analyses for each water utility and needs analyses for organizational and human resources development related to meter reading, billing, collection and customer management for each municipalities. 2. Implementation of organizational development works including provision of training on customer management, customer relations, unaccounted for water, billing and collection, meter reading and meter management, strategic planning, financial planning, decision making, etc. 3. Design and assist implementation of address survey study in Batman. Under the “Integrated management and protection of waters” and “Co-operation in case of natural calamities” measures of the “Protection, improvement and management of the Environment” priority, a project has been proposed to 2006 EU-Turkey Financial Cooperation Programming aiming at strengthening and developing regional co-operation for improving the management of flood hazards in border region and thus improving security and quality of life. The project will reduce the number of accidents, injuries, deaths, and economic losses by improving flood protection and flood hazard prevention measures in the TR-BG border region. The topography of the lower part of Meriç (Maritza) River is relatively flat and the area is not suitable for building infrastructures to store floodwater. Consequently, the best practice for reducing the flood risk is to keep the Meriç River in its natural bed by making some regulation works where the river flows out its natural path. Riverbed regulation in the Turkish territory of Meriç River will contribute to reduce the flood hazards in the border region of Bulgarian territory as well. The Meriç River is the biggest river on the Balkan peninsular with a catchments area more than 53000 km2. The Meriç basin is quite densely populated (more than 2 million people on the Bulgarian territory), highly industrialized and with intensive agriculture. The biggest cities are Plovdiv on the Bulgarian territory, with 650 000 citizens, and the city of Edirne on the Turkish territory, with 402.606 citizens. The specific objective of this assignment is to provide technical assistance to prepare a definitive feasibility study, final design projects, implementation projects and full tender dossiers (including technical specifications, Bill of Quantities (BoQ) and technical drawings) in accordance with EU requirements for the “Capacity Improvement for Flood Forecasting and Flood Control in the TR-BG CBC Region” to be financed under 2006 programming year of the EU-Turkey Financial Cooperation. 1. Preparation of Terms of Reference for TA component of the project, i.e. flood forecasting and early warning system for the TR/BG cross border rivers. 2. Preparation of the feasibility study, final design projects / implementation projects that fully comply with EC/PRAG rules for Works component. d.	Preparation of Terms of Reference for Supervision component of the project. (ii)	the strengthening of the capacity of the Istanbul Metropolitan Municipality (IMM) to mitigate the impact of earthquakes by retrofitting infrastructure and providing training to respond to emergencies more effectively. The purpose of this assignment was to prepare Environmental Management Plans (EMP) for 22 landfill sites to be closed/ rehabilitated under the proposed Istanbul Municipal Infrastructure Project in accordance to the requirements of WB guidelines (OP 4.01). DER-KAB Union is formed by 5 municipalities in Tunceli (Eastern Turkey) with around 100.000 populations to provide integrated solid waste management solutions in their service boundaries. The project aims at preparation of an integrated solid waste management model with design and feasibility of all necessary components and application to EU IPA for grant financing. Angora Mass Housing is the biggest private organized mass housing complex in Ankara with about 1,900 houses and 10,000 population. The project aims at re-use of domestic wastewater generated at the mass housing area for irrigation of the wide green areas the complex owns. The capacity required at first stage is 600 m3/day of wastewater treatment for re-use. 4) Research and Training on Re-use and WWTP technologies. 8) Supervision of the Construction & Installation Works. 9) Monitoring of Trail Operation Period. The project is related to the acquisition of 85 light LRT carriages for İzmir Metro to be jointly financed by EBRD, IFC and AFD. The Project aims to foster new ways of financing, procuring, and operating urban transport infrastructure in line with international best practices. The objective of the consulting was to help the Bank in carrying out the technical due diligence prior to financing of the Project. Due diligence ensures the Bank has a full view of the technical viability of the project, full understanding of the operational effectiveness of the Company, and the information to develop efficiency objectives to ensure 'transition impact' objectives can be developed and covenanted before loan signing. Transition impact relates to measures, activities, structures and policies that lead to greater commercialisation of services.